One of my favourite range of fabrics is Flower Sugar by Lecien Fabrics. Lecien release new Flower Sugar fabric ranges each year, and they all complement each other so well. This year that have released a Christmas range – Flower Sugar Holiday which will be in stores in June. What I love most about Flower Sugar Holiday is the pretty colours – jade, green, red, aqua, and white. The fabric features flowers, ornaments, candy, and stars – and is a bright cheerful range of Christmas fabric which will be perfect for wearables, Christmas decorations, and home décor. I was lucky enough to receive a pre-release bundle to create with. I prepared a simple Christmas tree appliqué, and used it to make a trio of Christmas treat bags. 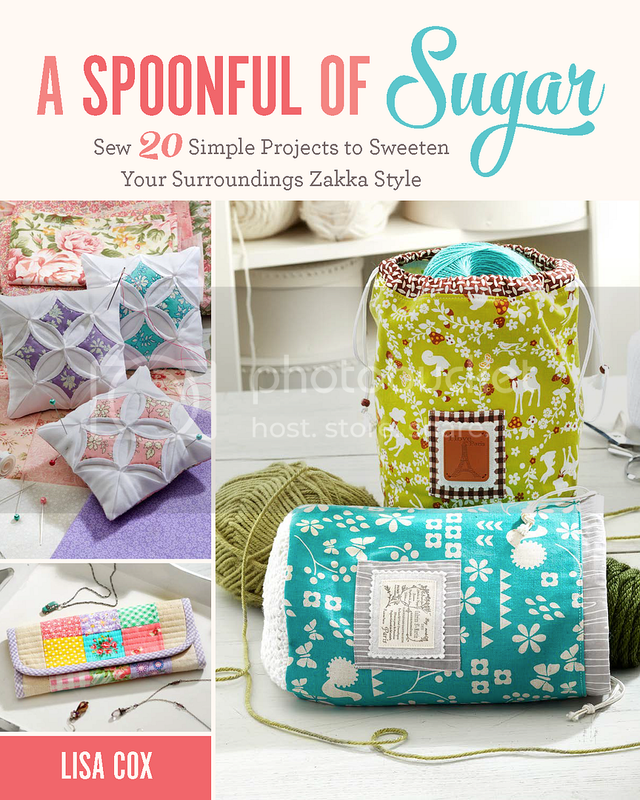 This project is adapted from my book, A Spoonful of Sugar (released April 2016). I found the perfect ribbon to use as a little tag. These treat bags would be perfect for holding little gifts. They feature a stand up design (like a coffee bag), and a simple drawstring closure. The ricrac trim adds a whimsical touch. The star fabric makes the sweetest little fabric and felt stars using our free Simple Christmas Star tutorial. I really love how the Flower Sugar Holiday has a modern retro feel to it. Can’t wait to use it in more Christmas projects. You can find Flower Sugar Holiday at Ministry of Fabric and Sew Stitching Happy. Here are the Nautical Treasure bags as they appear in my book – with a simple sailboat design. Cute, cute!! Great quick project that will add a personal touch to any gift. These are the cutest Lisa! Hi Karen – They would be sweet little Easter bags. You can make them in any size you wish – just add 1-2 inches to the width and length of the fabric, and them make them the same way.